With summer holidays just around the corner, hundreds of families will be planning their summer break, many of which will involve travelling in Europe. Although holidays are usually fun, fun, fun it’s only sensible to prepare for if something shouldn’t go to plan and with that in mind we turn to holiday insurance. 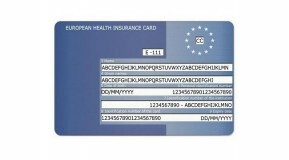 If you’re travelling within the EU you’ll want to make sure that you’ve got your European Holiday Insurance Card (EHIC) as this card works to provide you with medical assistance should you become ill. The card is free of charge and if you have one you’ll be entitled to the same priced healthcare as the locals in the country you’re visiting. It will cover you form medical treatment abroad should you not be well enough to travel home and is usually at a reduced cost or free of charge. Although there are obvious benefits to the EHIC it should not be used as a substitute for travel insurance and instead should be used alongside it. Travel insurance is there to cover your medical costs no matter where you’re being treated – in a private or state-run hospital. It also has several extra important features such as repatriation if you need to be flown back to the UK, it should cover for your luggage and valuables if they are lost, damaged or stolen and also offers protection should your travel be delayed. Travel insurance should also cover you should you fall ill before your trip and you need to cancel the holiday. If you’re going on holiday and you’d like to arrange travel insurance, why not contact us? We’ll ensure that you have all the cover you should require, explain all the options to you and we also guarantee competitive prices. Simply call us today to get your quote or for more information 01332 223888 or complete the form below and we will be in touch as soon as we can.